This article is the first part in the series of five articles on how to use Facebook ads.This first parttells about how Facebook ads are organized for a marketer. It also discusses targeting, budgeting, and creating a Facebook ad. This article will help you create a framework and perspective on how Facebook ads work. Those who say it does! Both the groups are not only at the other ends of the polarity, theyhave strong opinions for their position too. But despite their fact-driven opinions, I have found both the groups carry myths about Facebook ads. Some have made assumptions after spending just a few dollars. Some spent on increasing post reach and were expecting sales. Then there are some who are happy with just page likes. Like another other media buying (TV ads, radio ads, print ads, etc), Facebook has its intricacies too. Many business owners have come think just because they can buy Facebook ads at their own will, they know how Facebook ads work. To shatter some myths about Facebook ads and make it more understandable, I am writing thisseries of blog posts on Facebook ads. In this blog post, we will see Facebook from a top-view and try to understand how it is structured to tap users across all steps of the buyer’s journey. 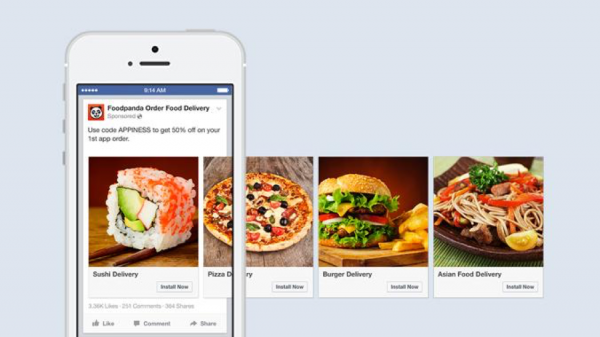 We will also see what types of ad options Facebook offers and when to use each one of them. 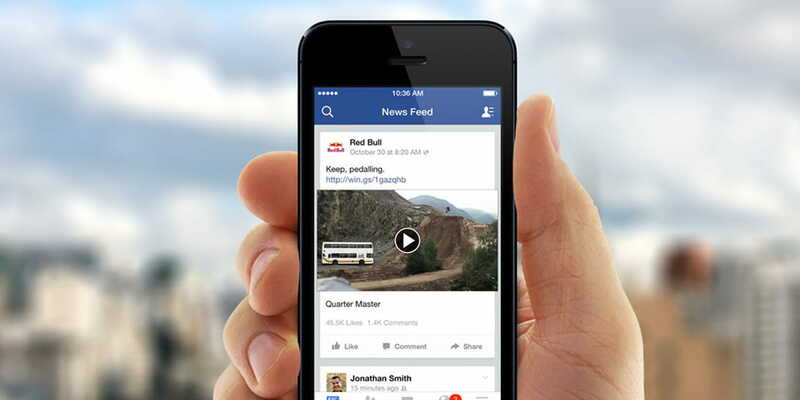 Are Facebook ads relevant for your business? Facebook ads will not work for all types of businesses. Sahiba Sethi, the Founder of Hello Meets, wrote in a Medium blog post why they do not invest in Facebook Ads. For products and services, which are low margin and doesn’t operate on repeat orders, Facebook ads is not a right option. For instance, it is okay for Netflix to acquire a customer at ahigh cost if they can retain the customer for over 6 months. Or for PayTM to acquire a customer by giving cashbacks if the customer has a high customer lifetime value. But we’re only talking about conversion here. Facebook ads are also great for brand awareness. It will be a disaster if Britannia starts selling Bourbon using Facebook conversion ads. However, to promote a new taste or flavour and run a brand awareness campaign, Facebook ads is the right spot. Facebook is a place where people go to connect, to play and to socialize. It’s great place to see events, membership, experience, personal improvement. While connecting to their friends, people took the membership of clubs and contacted with insurance companies, alike, their friends and family. If you’re still in doubt, you can check Facebook AdvertisingOpportunity Calculatorfrom WordSteam to check if Facebook ads are right for your business. How are Facebook ads structured? Unlike Twitter ads and LinkedIn ads, Facebook ads are structuredaround a typical buyer’s journey. Let me take you back to Marketing 101. A buyer generallystarts with a problem or objective. And then he looks for possible solutions. After going and comparing various options, he decides to choose one solution. Facebook ads are designed to target audience across each step of the buyer’s journey. Instead of offering ad options, where users simply see your brand, Facebook offers multitudes of ad options for each stage in the buyer’s journey. For each stage of the buyer’s journey, there’s an action associated. And for each action, there’s an ad option from Facebook. The following image is a screenshot of thefirst step of creating a Facebook ad. You can select an ad that is relevant to your specific marketing objective. This makes it easier for advertisers to choose a relevant ad option. At the same time, it also gives the advertiser theright perspective ofKPI. For instance, if the advertiser wants to create anad for awareness stage and want to increase reach of its event, she should focus on the ‘Total Reach‘ and ‘Cost per 1,000 Reach‘ rather than engagement or cost per engagement. There are over 1 billion people using Facebook every day and half a billion using Instagram every month. There’s no other social media platform who even comes closeto this number. And that’s what makes Facebook the most preferred social media channel for raising awareness of your brand. These ads, as the name suggests, cater to the first step of the buyer’s journey–awareness stage. It also covers two other types of ads: page boost and post boost. What do customers do in the consideration stage? They explore the possible solutions of their problems. Your ads must reflect that too. Facebook is an amazing platform to execute this objective too. For instance, you can get people to download your app. Or you can send people to your website to discover a product. Or you can increase views on a video that gives a demo of your product. Or you can simply generate leads for your B2B business. When you want your Facebook followers to get involved with your offering, it is time to look at theconsideration ads. propecia by merck and co.
Acustomer knows about you and has spent time to understand your product. Now is the time to convert him into a customer. For that, Facebook has designed decision stage ads. In future, we hope that Facebook will dig into many more new aspects. But, still, Facebook is an enigma for many advertisers and HERE’s this article to cure the turmoil of advertisers who want to but not know how to advertise on Facebook. Facebook is constantly coming up with new ad types giving ample opportunities to advertisers to play mix and match with multiple ad types and see which ad type delivers desired results. We have done a breakdown of these various ad types. Let’s have a closer look at it, including where you can use them too. Also known as Domain Ads, this basic ad type is used to drive the audience to your website. If your aim is to increase web traffic to your website then this is the Ad type you should go for. buy atomoxetine online india, buy atomoxetine online india, buy atomoxetine online india, buy atomoxetine online india, buy atomoxetine online india, buy atomoxetine online india, buy atomoxetine online india, buy atomoxetine online india. This multi-product scrolling ad type presents advertisers with the opportunity to display multiple product images or share a story through this ad type. These left-to-right scrolling ads are a must use for e-commerce brands. Also, using multiple images increases the probability of target audience visiting your website and searching for a product which fulfills their needs. These ads are ideal for retargeting your customers or those users who have engaged with your product catalogue on your website or mobile app in the past. This ad type fluidly updates to showcase users with images of those products which are relevant to their past browsing history on your site. This is one of the recent ad types added by Facebook. Presently, a hot favourite among advertisers these ads empowers you to showcase your creativity combined with video and includes top-to-bottom and left-to-right scrolling presentation feature that enables you to share your story beautifully. Think of magazine pull-outs but digitized. These ads are suitable for retargeting as well as for building brand awareness. These ads start playingautomatically and silently in your News Feed, showcasing your product. When users click on this ad, the video starts playing will with sound. Pro-Tip: The best performing video ads are somewhere between 15-30 seconds long. So try to keep your video ads short. These ads are a rip-off version of PowerPoint presentation. You can showcase ad for your product in a presentation layout and it gives the feeling of a video ad. You can also insert music files and text overlays on the top of your images. Before you begin any ad campaign, you first need to determine what the goal of your campaign is. Start with your own marketing needs and build your ad around it. If your goal is to drive downloads for an eBook, for example, you could use click to website, a lead generation which performs the best. Targeting is reaching out to your potential customers. But, before you begin with building out your target audience, it is essential for you to install Facebook Pixel.Facebook has a huge audience (2 billion!) and there exists a huge possibility that a large share of your target audience is scrolling through it. But, how to tap to your potential customer database is targeting. cheap silagra. If you are just starting out with your Facebook ads and the website traffic is non-existent then targeting gets a bit difficult but if you are getting high website traffic then you just need to install Facebook Pixel and start with retargeting. You can begin targeting by making Buyer Profiles. While making buyer profiles you can target audience on the basis of their interest. Say, you want to sell kids clothing and shoes on your e-commerce website. Target online parents, especially mothers whose interests include ?shopping? and ?kids?. Choose your appropriate age range. You can even target only those who prefer to shop online using behavioural tagging option. All this can be simply done by using Facebook ads targeting option. Facebook targeting is quite razor sharp. You can target customers through Facebook Ads on the basis of their location, age, gender, demographics, interests, behaviour, etc. neurontin cost without insurance, neurontin cost without insurance, neurontin cost without insurance, neurontin cost without insurance, neurontin cost without insurance, neurontin cost without insurance, neurontin cost without insurance, neurontin cost without insurance. Another way to do targeting is through Life Event Targeting. This is a great option for those who offer products based on life events. For instance, if your e-commerce brand offers wedding apparel you can target those people who are engaged. Facebook has pretty much every possible life event targeting option since users tend to post about these events onto their timelines. Just define the audience which you want to target for your product and then choose the best-suited ad type. The answer to this question depends on many factors, such as the audience you are targeting, nature of your products, advertisement objective, etc. You should choose your ad type on the basis of monthly budget. Suppose your monthly budget is 90k-100k then you can use two or more ad types collectively. buy canada pills viagra, buy canada pills viagra, buy canada pills viagra, buy canada pills viagra, buy canada pills viagra, buy canada pills viagra, buy canada pills viagra, buy canada pills viagra. Lifetime– Maximum budget that you will spend during the lifetime of your ad set. Hot-Tip: Go for awareness ad types when operating ads on a small budget, you are probably going to get the most bang for your buck. With this complete guide, you now have a broad overview of Facebook ads through which you can establish your flyer. We have discussed the buyer’s journey and relevant businesses for Facebook ads. In coming sections, we will learn about all ads individually and how to re target your customer.